Social media is the number one driver of website traffic, responsible for over 30% of all traffic. Social has surpassed search in terms of traffic generation and made social marketing an essential component for every blog and business. Social marketing gives you the ability to grow your audience and build your brand economically. Using social media, you can speak directly to your customers and become part of their day-to-day lives. In part one of this series, we learned about the demographics of four top social media platforms and how the purpose of each platform shapes the way it can be used. But social marketing isn’t just about using demographics to your advantage. You also need to know when to post to reach your audience, best practices, and how to optimize your content. 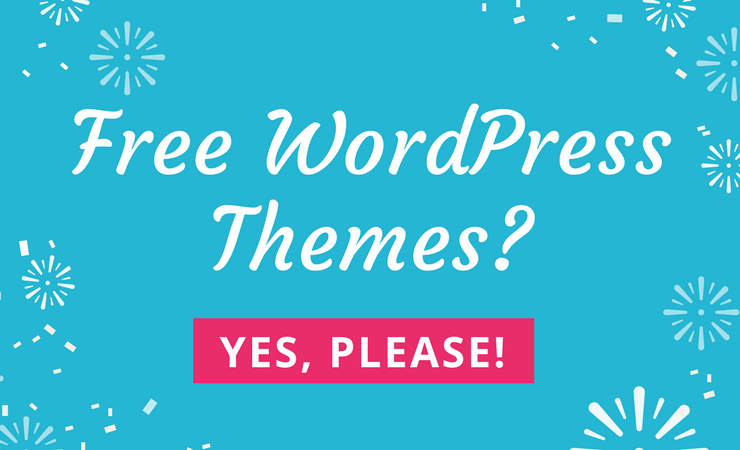 Each platform is different, which is why it’s important to tailor your approach. Facebook is easily the most popular social media network. In part 1, we saw that 79% of all online adults use Facebook. Meaning that, no matter who your target audience is, they’re probably on Facebook. So, what do you need to know to succeed on Facebook? Facebook tweaks their algorithm regularly to ensure that its users see content that they are most interested in. Unfortunately, increasing competition and changes to the algorithm has seen the reach of business pages fall. However, video and especially Facebook Live video receive a boost in the feed. If you want to reach as many of your followers as possible, try using Facebook Live. Facebook posts with images reach more people and generate more engagement. The rate of engagement for posts with images is 2.3x the engagement of posts without images. Video on Facebook is viewed more, shared more, and liked more than simple photos or text. And live video gets even better results – people spend 3x longer watching a Facebook Live video compared to a non-live video. Are you on Facebook Live? People spend 3x longer watching live video. Another tip for video – use subtitles. Up to 85% of all viewers are watching without the sound on. Joining Facebook groups where your target audience hangs out is a great way to learn more about them, their pain points, and start conversations. Are there ideal times to post on Facebook? 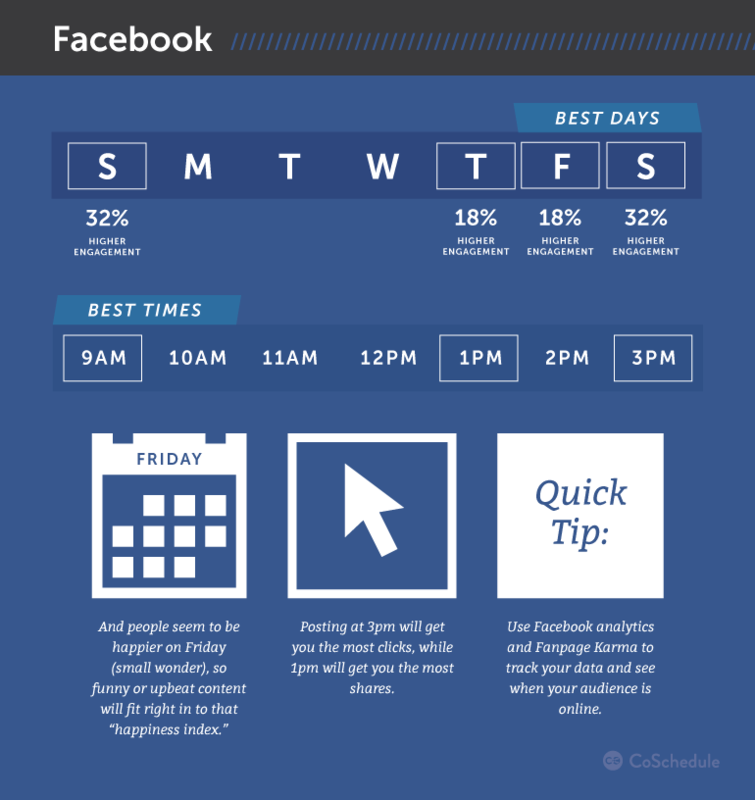 According to CoSchedule, the best times to post on Facebook are 3 p.m. Wednesday, 1-4 p.m. Thursday and Friday, and 12-1 p.m. on weekends. Do use high-quality images with your posts. The optimal image size is at least 470px wide and landscape or square orientation. 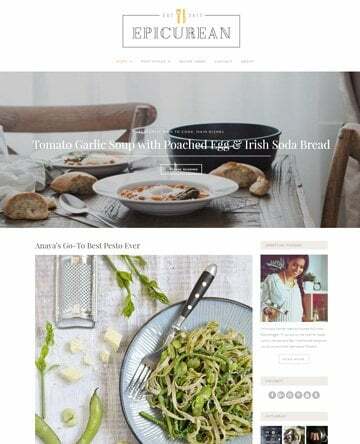 When your post is shared from your site, your featured image is pulled to fill a box that is 470x246px. 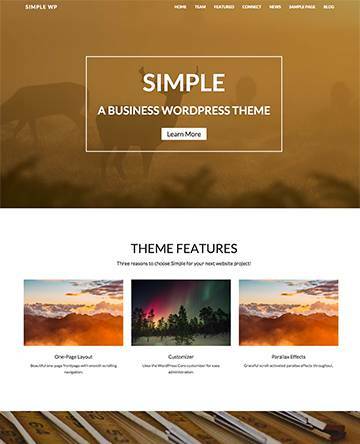 So, while you can upload square images of different types of content, featured images for your blog posts display best if they are landscape. Do use video and live video with subtitles. Do share content that your target audience would like from other users and tag the creator in your post. Don’t copy the same post into multiple groups at the same time. Don’t spam-Like other pages in the hope that you’ll get followers in return. Don’t copy someone else’s content and republish it to your page, even if you credit the creator. If you share it, the original owner will benefit from their work. Instagram is a highly visual platform with a youthful demographic. 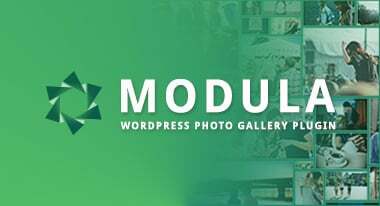 It has a reputation for meticulously curated and beautiful images. If your business has attractive products, Instagram is a natural fit. So, what do you need to know to succeed on Instagram? Instagram is one platform you can use to build your brand economically. Posting regular, high-quality images that are on-brand and including a mix of different types of content goes a long way toward building an engaged following. Using images of your customers with your product also helps build brand loyalty. 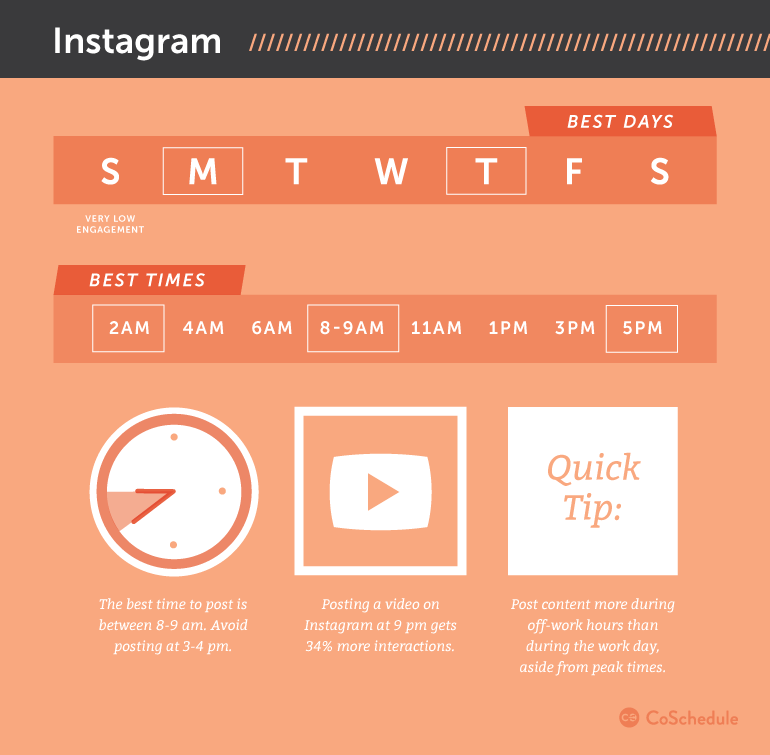 Are there ideal times to post on Instagram? Instagram users are engaged throughout the week. According to CoSchedule, the best times to reach them are 8-9 a.m., 2 a.m., and 5 p.m.
Do run Instagram takeovers with influencers in your niche. Optimal image size is 1080x1080px. While you can now upload portrait or landscape images, the feed still displays squares which makes it the best size to use. 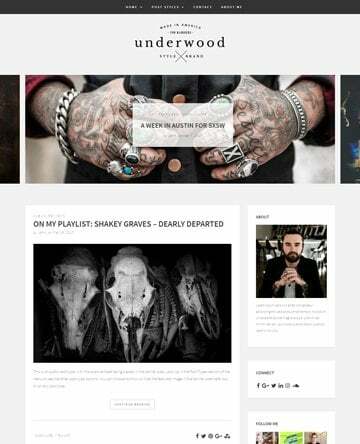 Do post or regram user generated content from your fans using your product (with permission). Do use hashtags on your posts for engagement. Do use video, Live video, and Stories. Don’t regram other’s images without permission and without acknowledging the source. Don’t sacrifice quality for consistency. If you have a schedule where you post daily but you don’t have a good quality image to post, don’t post. Twitter is a fast-moving platform, with around 500 million updates per day. That’s over 5000 updates per second. And yet the half-life of a tweet is estimated at only 18 minutes. If your target audience isn’t online when you’re tweeting, it’s unlikely they’ll even see your tweet. What does this mean? Tweet often! You can also schedule your tweets to repeat without worrying that your audience will notice. To get best results from Twitter, tweet frequently. You can also recycle your past tweets, which saves you time coming up with new material. Use images and up to two hashtags per tweet for best results. Are there ideal times to post on Twitter? 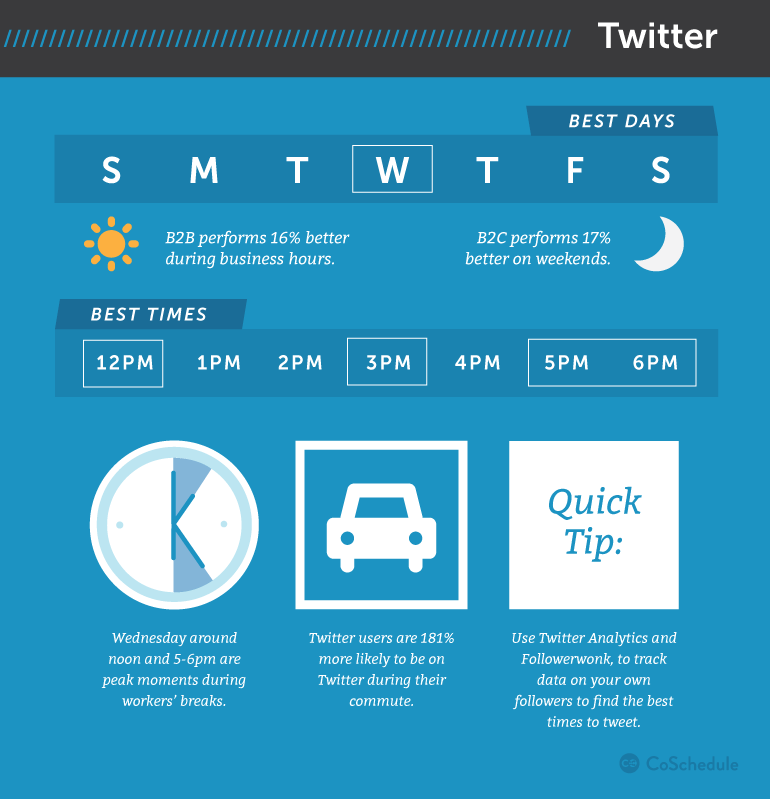 The best time to post on Twitter is between 1 and 3 pm on weekdays. Between 5 and 6 pm is also a peak time. Do use hashtags. Tweets with a hashtag get twice the engagement of those without hashtags. Do use images. Tweets with images get up to 313% more engagement. Optimal image size for Twitter is 1024x512px for blog post sharing. 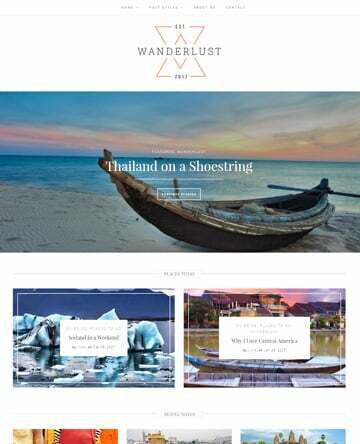 For other content, ensure your image is at least 506px wide. You can attach up to 4 images per tweet and choose how they should be displayed in a grid. Do @mention people in your tweets. Do participate in Twitter chats. Don’t overuse hashtags. One or two will get you the best results. Don’t just use Twitter for self-promotion. Share other’s content and start conversations with people in your industry. Pinterest is a highly specialized platform and a great source of traffic for bloggers. It’s a common misconception to think of Pinterest as a social media platform, however, it’s not. It’s a visual search engine and a social bookmarking site. Very little social interaction occurs on Pinterest. Users can repin, like, follow, or comment on pins. But, pin comments are rarely used and aren’t immediately apparent. It’s easy to get caught up pinning beautiful home décor, gardening, or food pictures, but pinning as a business means pinning strategically. What is your target audience interested in? Pin for them. Switch your own personal boards to Secret so you can still collect recipe ideas for your next party and plan your next DIY project. It’s also important to pin other relevant content from your niche and not just use Pinterest to self-promote. 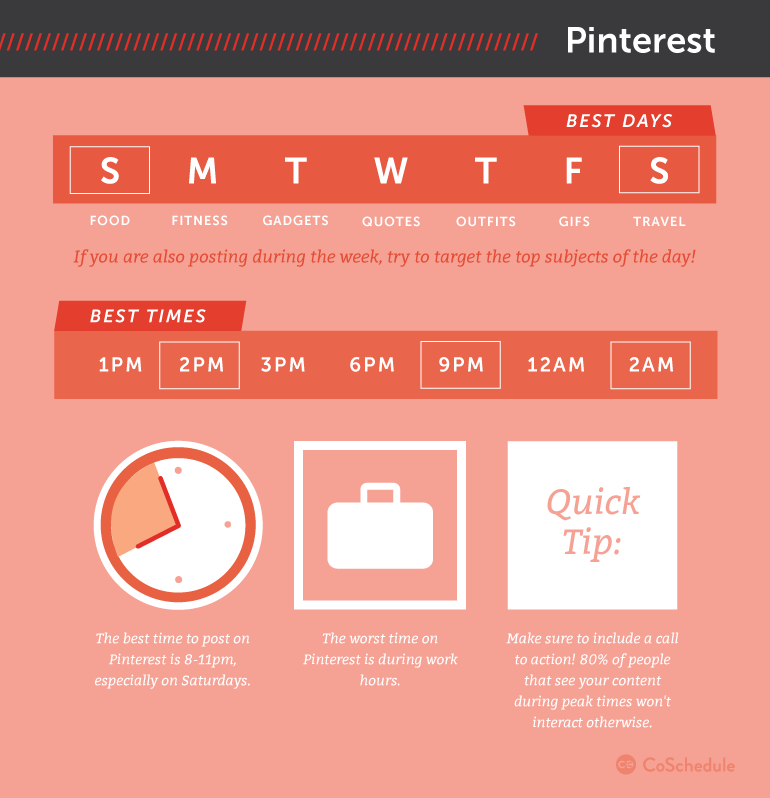 Are there ideal times to post on Pinterest? According to CoSchedule, 8-11 p.m. weeknights and Saturdays are popular times for Pinterest users. Recent changes to the Pinterest algorithm have made pinning times less important than they were. In the past, the Pinterest feed showed “live” pinning in the order of “newest first.” Now the Smart Feed shows content as “best first,” and may not show your content immediately after it’s pinned. For personalized recommendations for your own pinning schedule, apps like Tailwind and BoardBooster help you identify your best times to reach your audience and get engagement. Do pin tall, bright, attractive images that lead back to good quality content. 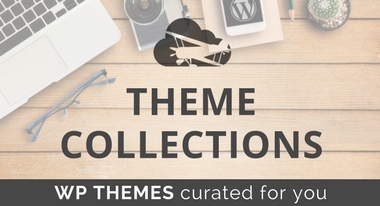 Do use large text that stands out from your background image. Do use high quality photos, either your own, or stock photos. 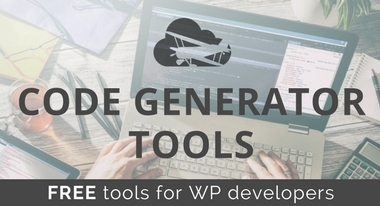 Do collaborate on group boards and Tailwind Tribes with niche-related pinners. Don’t use hashtags. It can be detrimental to your account. Don’t pin square or landscape images. These images can easily be overlooked in the feed because they are shrunk to the width of 235px. Don’t include small text that isn’t readable in the feed. One of the many recent changes Pinterest is trialing is an image-only feed. If your text isn’t readable and compelling, you’ll lose readers. Building a successful social media presence takes time, and there’s so much to learn about the best practices for each platform. Tailoring your content to your platform is important to ensure you’re getting the most return on investment. Square images look great on Instagram but don’t do so well on Pinterest. Whereas wide, rectangular images do well on both Facebook and Twitter. There’s also the matter of what times you should be posting to get the most engagement. Each account will be different, however, there are studies that show strong results for posting on certain days and times. 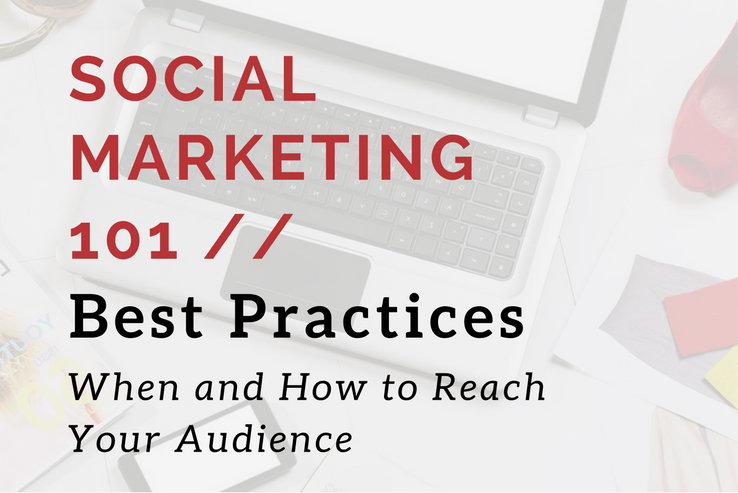 Over to you – are you following best practices with your social marketing? If you liked this post, be sure to catch our other articles in the series: Social Marketing 101: Part 1 – Where to Build Your Presence, and stay tuned for Social Marketing 101: Part 3 – Six Types of Content for Your Social Strategy.